If you are getting ready to have a child and want to know about this revolutionary system for anchoring a car seat into place in your vehicle, you have come to the right place. There are two ways that a car seat can be installed – one is by simply using the seat belt in the vehicle and the other one is LATCH. The name is derived as an acronym for Lower Anchors and Tethers for Children. You should choose one of these systems for installing the car seat. Since almost everyone knows how to use a seat belt, we will concentrate on the this particular method. 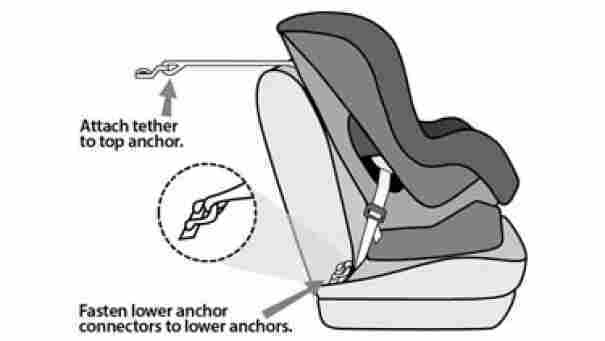 Lower Anchors – Installing a car seat using the LATCH system is a method that has been in use for over 15 years. There are multiple components to it. 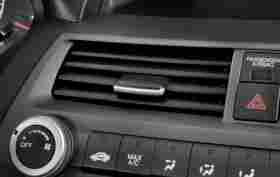 If you have a vehicle that is equipped with this system (most vehicles after 2003 have them), you might notice little metal loops in the crack of the seat, or even sticking out from the seat. These are lower anchors. Many of today’s vehicles will have 2 sets of these anchors. They are typically in each back seat that is near a door – not in a middle seat, although some vehicles do have them in all 3 seats. Vehicles that have third row seating might have these anchors spaced out with one or two in the middle row and another set in the rear row. There should be a button, a tag, or even an imprinted symbol for the lower anchors that will let you know exactly where these anchors are. If you are able to find the lower anchors on your own, you’ll need to read through the section of the vehicle owner’s manual that deals with the LATCH system. This section should be chock full of installation tips that will be vehicle specific. Tethers – The second part of LATCH systems is the tether anchor. The tether should look similar to the lower anchors, but there should be only one of them for each seat that has the lower anchors. You’ll generally find this anchor on the back of the seat in question. However, some vehicles do have this anchor located on the floor directly behind the seat that it goes with. Again, refer to the vehicle owner’s manual for the appropriate location of these anchors. You will notice that for each set of the lower anchors there will be a tether anchor as well. There might also be a few other tether anchors that are meant to be used when you install a car seat using the seat belt. If you have a pickup truck, your tether anchors will be different than those found in cars and SUVs. They might even be made from a webbing material as opposed to metal. Please refer to the owner’s manual of the truck when you need to learn how to use them. Pickup truck tether anchors can be used to anchor multiple car seats. This is the only time you should use a single anchor for more than one car seat. 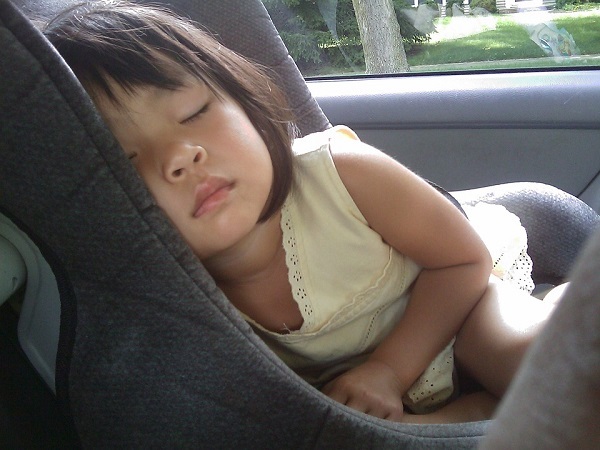 Car Seats – The actual car seat is the third part of the LATCH system. You should notice a strap (possibly made of webbing) on the car seat. There should be one of these straps located on each side of your car seat. These straps should be equipped with connectors that will attach to the lower anchors in your vehicle. Sometimes car seats won’t use the webbing but will have a rigid system for attachment. This type will use fixed pieces or parts that protrude from the car seat and can just be clicked on to the vehicle’s lower anchors. Car seats that can be used as forward-facing seats will also consist of a tether for the top of the car seat. On this tether, at the end, you will find a connector that will hook it to the vehicle’s tether anchor. Consult your vehicle owner’s manual for vehicle specific information on the LATCH system you have. This information should also contain directions for routing a webbing belt if you have a convertible car seat (one that can be used both forward and rear facing). The labels on the side of the car seat should also give you some basic tips on installation. One of the main advantages of using this system is that it is easy to use. The whole reason it was designed was so that installing a car seat in a vehicle would not be so difficult. Parents would no longer need to learn about how to attach a car seat using many different types of seat belts. Another advantage is when it comes to rear facing seats. Using just the seat belt means that the car seat could tilt to the side simply because of the pressure from the shoulder part of the seat belt. With the LATCH system, this problem has been solved. This system was designed not as a safer alternative to using seat belts, but rather as an easier one to use. Car seats have been designed in such a way that they handle the forces from a crash in very specific ways. We know that (because of federally mandated crash tests) a baby’s car seat will be able to withstand the forces from a crash using either the seat belt or the LATCH system. It isn’t known whether that same car seat will be able to withstand the forces from a crash if both systems are used simultaneously. Using 2 installation belts in the same belt path might be putting stress on the car seat from multiple angles during a crash. This could lead to the car seat not being able to withstand the crash force. 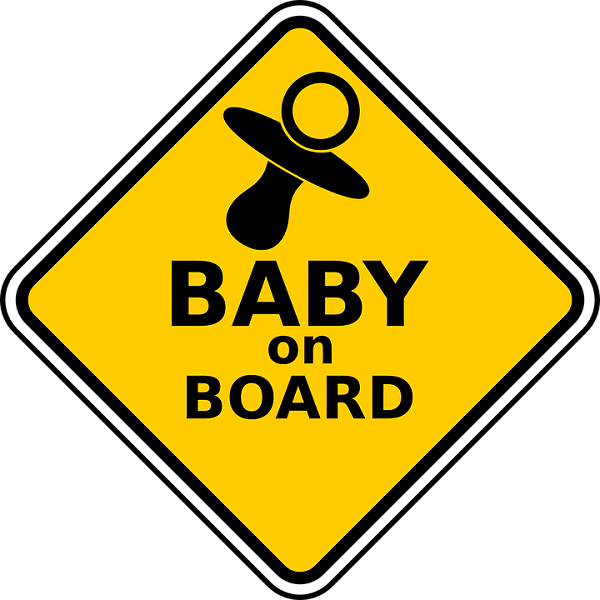 It might also work to more of the crash force being concentrated in a small area of the car seat, and this might cause it to fail or move in ways that aren’t easily predicted. 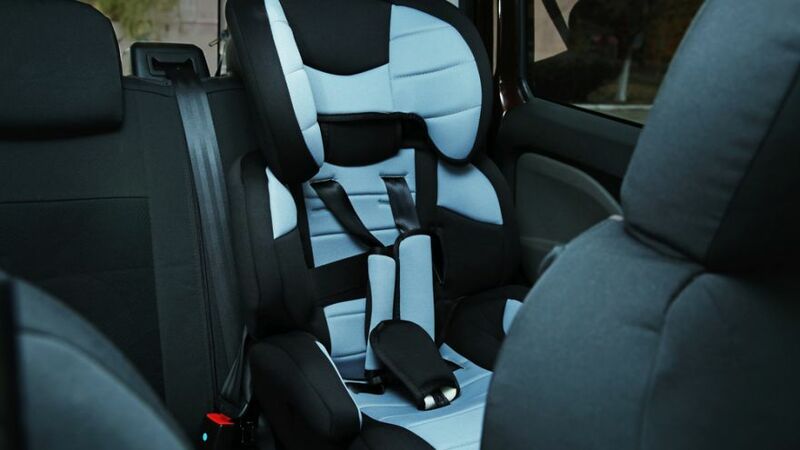 Typically, the rule to remember is that you should NEVER use a child’s car seat in ways that were not specified by the manufacturer of the seat. When a car seat is installed using methods that aren’t outlined in the instruction manual, you will essentially be using your child as a dummy like those used in test crashes. You can’t be sure of what can happen when you use car seats in ways that haven’t been crash tested and given approval. Be sure to read both the manual that came with the car seat and the owner’s manual for your vehicle to determine how to install your car seat. If you are unable to install the car seat tightly using with the LATCH system or seat belts, look for a car seat inspection station or a child passenger safety technician at Safe Kids USA. Seat Belts – If you choose to install your car seat by using the seat belts, you should always make sure that the seat belt actually locks so that you get a snug fit. Most of today’s cars allow for this when you pull the seat belt out the farthest it will go and then letting it retract so that the belt is snug around your child safety seat. Aside from that, some of the car seats will include lock offs that are built in. These work to lock the belt in place while not needing to lock your seat belt separately too. The owner’s manual for your vehicle will be able to give you details concerning locking the seat belts. Back Seat Middle – It is common knowledge that children under the age of 13 should always be seated in the back seat…specifically, the center of the rear seat. Sometimes though, it can be difficult to make sure your car seat is properly installed in that position. The middle seat might be uneven or quite small. Additionally, many vehicles don’t have lower anchors in that particular seating position. Just remember that it is always the safest thing to put your car seat in position so that it is able to use the seat belt or the lower anchor. Keep in mind that this might be on the sides of the back seat as opposed to in the middle. The crash testing and fit to vehicle data from Consumer Reports leads to the belief that the LATCH system is the method that is preferred when it comes to the installation of car seats. This system means that it is easier to get that secure installation while also having less forward movement than seat belts in the event of a crash. • If you use a forward-facing child car seat, be sure that you use both the lower anchors and the top tether. • Unless you have a pickup truck, remember that only a single car seat should be attached to a single anchor simultaneously. • Always double check to ensure that the car seat is attached to the anchor bars of the LATCH system as opposed to any other part of the vehicle or seat. Keep in mind that some of those anchors might be readily visible while others might be deeper in the space between the back of the seat and the bottom of it. • Only use anchors in the positions that are listed in the owner’s manual for your vehicle. Never place a car seat attached to a LATCH system in the middle of the seat unless it is approved by the manufacturer of your vehicle. • When you switch convertible car seats from rear to forward facing, take a look at the car seat manual to find their recommendations on properly moving the straps for the lower anchor. 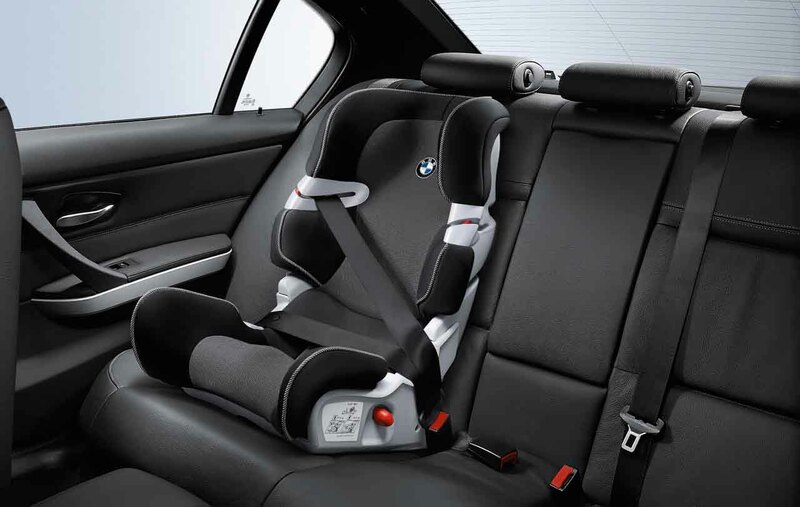 • Some of the car seats that are rear facing allow for use of the top tether. Again, check the car seat manual for this information. • If your vehicle is not equipped with a LATCH system, remember that using your seat belts is nearly as safe. Typically, if your vehicle doesn’t already have this system, it isn’t possible to have it installed. That said, check with the car dealership to see if they can at least install the top tether. • Each vehicle will have its own specifications for using the lower and top anchors. If you are unsure of those limits and the child in question reaches 40 pounds, switch to using the seat belt as opposed to the LATCH system. Children’s Hospital of Philadelphia – What is LATCH?